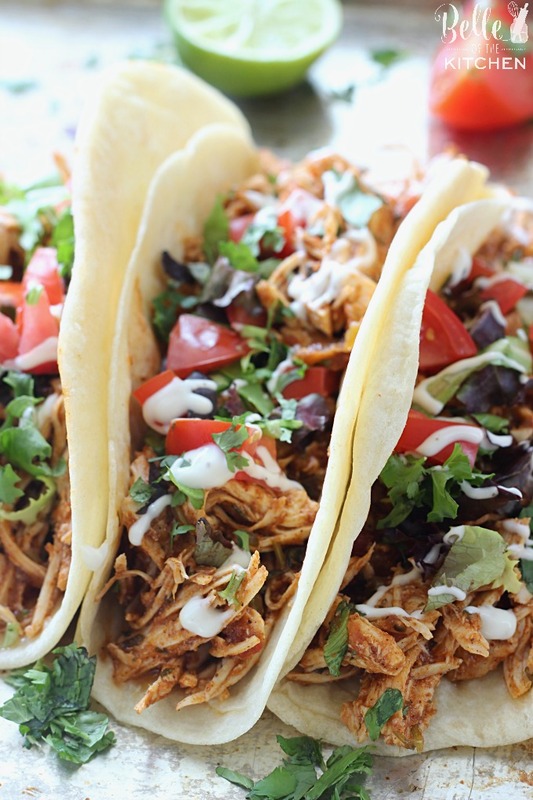 These Cilantro Lime Chicken Tacos are so delicious and simple to make! A five ingredient dump-and-go meal that takes minutes to prepare and cooks all day in the slow cooker! Hey there, y’all! I’m baaaaaaaaaaaaack!!! Did ya miss me? It’s been quite a journey that my family’s been on the past few months, and I’m happy to say that we are FINALLY settling into our new home in Texas! My posts have been pretty erratic the past three months, and without the help of some great blogging friends, my poor blog might not have stayed afloat! Be sure to go and check out the past few months of posts from some talented and gracious ladies that shared their recipes here in my absence! We did a LOT of sightseeing this summer during our move from Hawaii. We started out in Los Angeles where we spent a few days at Disneyland. That part of the trip was a complete surprise for our kids and their reactions were priceless! They ran around in circles yelling, “Yay! We’re at Disneyland!” for a good chunk of time, which is good, because every exhausted moment after that I tried to think back on how happy they were. Disney in the blazing heat of summer is definitely not for the faint of heart! After that, we headed to visit a dear friend of mine in Ft. Iriwin, California, then travelled to Sedona, Arizona, the Grand Canyon, White Sands, New Mexico, and finally to east-central Texas to visit my hubby’s sister and her husband. We stayed with them while we house hunted for a week, then set our sights homeward to Georgia! I can’t even explain how much joy I felt just crossing over the state line into our home state. It was wonderful to be back home with family and friends that we hadn’t seen in over three years, many of which hadn’t met our daughter! After a month visiting all over Georgia, it was finally time to head towards our new home in Texas! We closed on our first house August 15th, and I’ve felt myself finally relaxing a little more each day now. Moving is SO stressful, y’all, and I’m glad to be done with it for at least a couple of years! Now that we are settled, I was SOOOOOOOO excited and beyond ready to get back in the kitchen with my camera again! Setting up my tripod and playing around with lighting in our new house will be an ongoing process for awhile, but I am just so happy to be back at it! 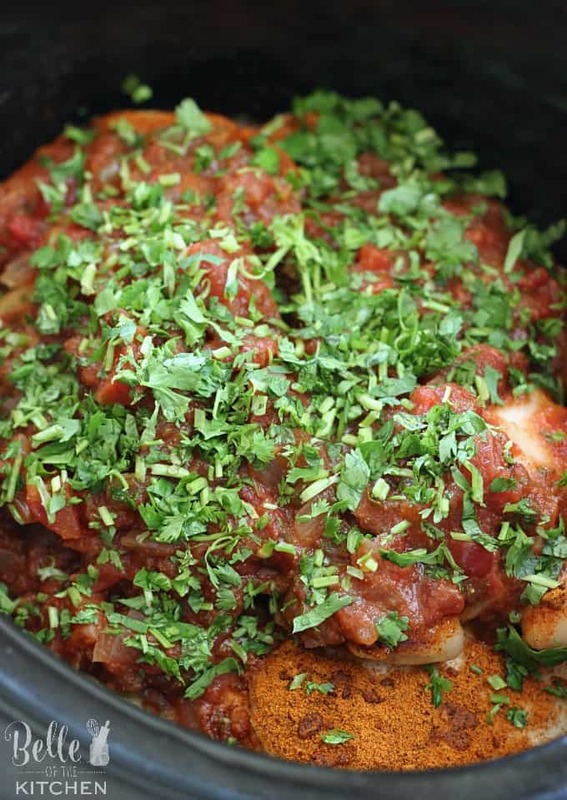 Since back-to-school is in full swing, that means it’s also crockpot season! 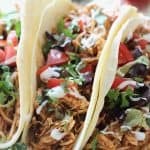 My favorite kind of crockpot meals are the ones that require absolutely zero work aside from throwing everything into the crockpot (like Mississippi Pot Roast) and these Cilantro Lime Chicken Tacos fit that bill, y’all! Five ingredients, dump ’em in, and check back in a few hours. You cannot beat that. I served up these Cilantro Lime Chicken Tacos over some freshly made flour tortillas from H.E.B (the most amazing grocery store I’ve ever set foot in, by the way; God Bless Texas!) then topped them with shredded lettuce, diced tomatoes, a drizzle of ranch, and even more cilantro! 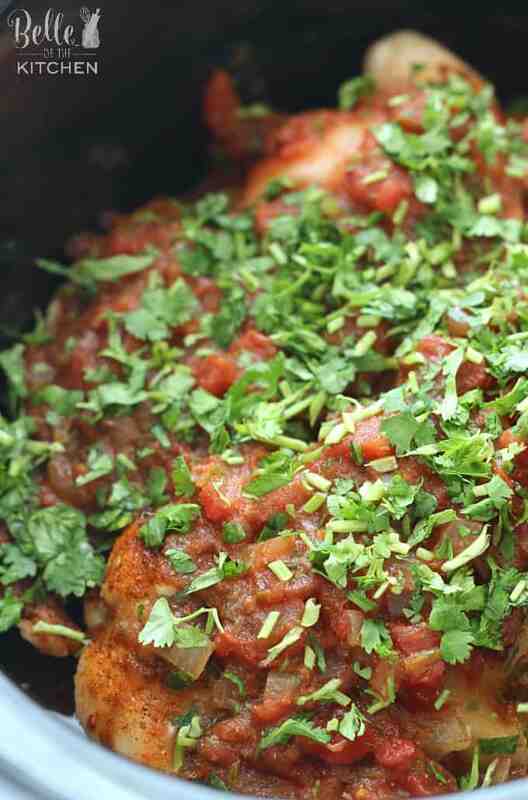 Yes, hopefully if you’re reading this post you are a fellow cilantro lover, because there is plenty of it in this recipe! Place lid on top and cook for four hours on high, or 6-7 hours on low. 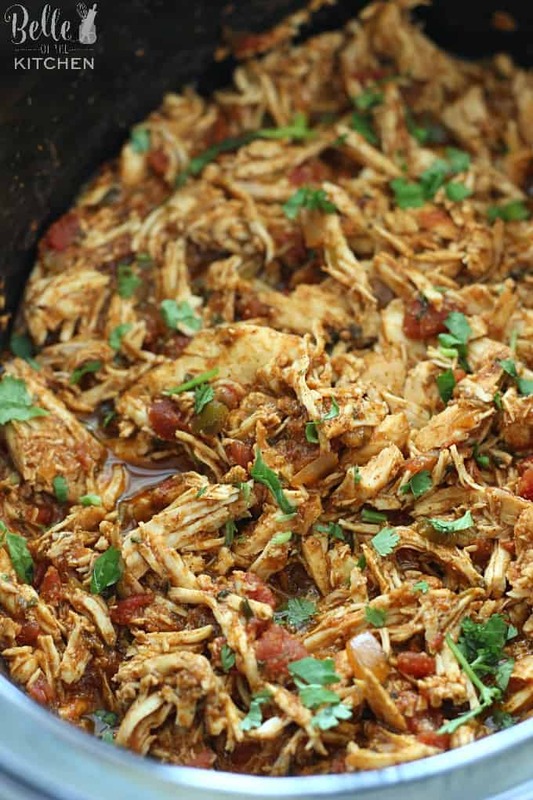 Remove chicken from crockpot to a separate bowl and shred with two forks. Moisten chicken with small amounts of juice left over from the crockpot until you get the amount of moisture that you like. I used about 1/2 - 3/4 cup juice. 0 Response to "SLOW COOKER CILANTRO LIME CHICKEN TACOS"